On February 10, 2017, The Junior League of Tulsa, Inc. (JLT) hosted its fifth annual Mentorship Luncheon at the Mayo Hotel, celebrating the impact of mentorship and scholarship in developing outstanding women leaders. The Mentorship Luncheon provides an opportunity for JLT to honor and recognize its annual scholarship recipients. 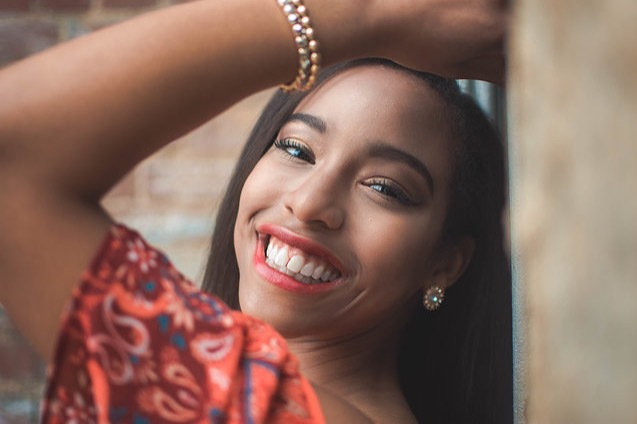 This remarkable Union High School senior has plans to attend the University of Oklahoma to major in Pre-Communication Disorders and minor in Psychology. She hopes to become a Speech Pathologist. Te’a competes in Track & Field, Cross Country, Volleyball Intramural, and Junior Achievement and is an active member of several clubs including MESH, Interact, College & Career, FCCLA, and a Christian Lead Worship Club called “FUSE.” She does all this while working two jobs, averaging about 20-27 hours per week. In her spare time Te’a loves to practice her guitar (she is self-taught! ), work out because she values her health, hang out with her mom and sisters, and practice yoga. Te’a has also made volunteering a priority. She volunteers at the Oklahoma Aquarium, Community Food Bank of Eastern Oklahoma through Junior Achievement, and Neighbor for Neighbor with Interact. She also enjoys volunteering with children at The Griffin Promise, a children’s autistic clinic,as well as Grove Elementary Childcare special events. Volunteering is important to Te’a because she values serving others. “I understand the need for help from life experiences, therefore, I want to help others in hopes to make them smile. It’s important because that is one way to spread love to a great amount of people and to vividly see your impact. To me life is pointless if it’s only about doing things for yourself. When you give, you shall receive and though my intentions are never to receive anything, God has promised that, ” she said.